HOYLES, Sir HUGH WILLIAM, lawyer, judge, and politician; b. 17 Oct. 1814 at St John’s, Nfld, son of Newman Wright Hoyles* and Lucretia Brown; m. 7 Sept. 1842 Jean Liddell of Halifax, N.S., and they had three sons and three daughters; d. 1 Feb. 1888 at Halifax. Hugh William Hoyles was educated at Pictou Academy in Nova Scotia, received his legal training under Samuel George William Archibald*, attorney general of Nova Scotia, and was called to the bar in 1837. Hoyles returned to St John’s some time before 1842 and quickly established a reputation and a large practice as a result of his excellent mercantile and family connections and his talents as a lawyer. 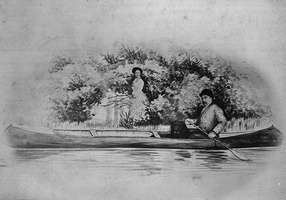 He gained some popularity as a supporter of the Natives’ Society, as a member of the managing committee of the Newfoundland Church Society, organized by Bishop Aubrey George Spencer*, and as a keen sportsman (excelling at rowing). 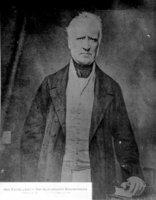 In 1848 Hoyles was elected to the assembly as a Conservative for Fortune Bay, the constituency his father had represented. He soon emerged as a dominant figure in his party and became well known particularly for his views on the school issue and on responsible government. Hoyles was critical of the secular General Academy, established in St John’s in 1845 for secondary education in opposition to Bishop Edward Feild*’s St John’s Collegiate School (later Church of England Academy) founded in September 1844. Hoyles supported the bishop, alleging that the academy was crippled by its failure to give religious education, and in 1850 he succeeded in having the General Academy dissolved and its government allowance divided among three separate academies. Hoyles was also hostile to the elementary school system, which had been set up on a non-denominational basis in 1836 but was modified in 1843 to allow the establishment of separate Roman Catholic schools. Until 1853 he campaigned with Feild, by means of speeches, resolutions, petitions, and public meetings, for the division of the state grant to the Protestant elementary schools so that the Anglicans could set up their own system. The other Protestant denominations did not necessarily agree with this proposal and Hoyles was unsuccessful, but his campaign had an important effect on the issue of responsible government. The cause of responsible government had been taken up by the Liberal party which had controlled the assembly since 1848 and had been led since 1852 by the able politician Philip Francis Little*. Although it maintained publicly a non-denominational pose, privately its leader spoke of “the Catholic Party”; it could command a solidly Roman Catholic vote and had the outspoken support of Bishop John Thomas Mullock*. The Protestants of Newfoundland, however, comprised a majority of the population and if they could remain united, given the political divisions along religious lines, the Conservatives would be able to control the assembly. By following Bishop Feild, however, Hoyles alienated many Methodists, who supported the status quo in education, from the Conservative party which appeared to be dominated by high church Anglicans. As a result these Methodists and some evangelical Anglicans supported the Catholic Liberals. Hoyles came to realize that Feild was an electoral liability and in 1853 he dropped the demand for elementary church schools in an attempt to rally all Protestants in a grass roots, anti-Roman Catholic campaign. It was too late. Little had won some Protestant support in the house and through Joseph Woods*’s Courier, and he portrayed the opposition as sectarian bigots when he went to London in 1854 to discuss the issue of responsible government with the colonial secretary, the Duke of Newcastle. Newcastle decided that responsible government could no longer be withheld and was prepared to grant it in that year, subject to conditions which included making representation in the House of Assembly more equitable. Hoyles established a Protestant committee to fight the decision by preparing a petition, signed by 1,600 of a possible 6,210 Protestant males of St John’s, and he published a pamphlet entitled Case of the Protestant inhabitants. He was sent to London in July 1854 by the Central Protestant Committee to plead the case against responsible government which he, the governor, Ker Baillie Hamilton, and the new colonial secretary, Sir George Grey, viewed as unsuitable for Newfoundland because of the religious divisions in the colony [see Edward Mortimer Archibald; William Bickford Row*]. All of his efforts were to no avail; the British government was determined that a settlement be reached. Thus responsible government was granted to the colony late in 1854. In November Hoyles returned to London to defend the governor’s actions in postponing an election until May 1855. By this election Little became the first premier. Despite his failure, Hoyles had established himself as an outstanding politician: he had been at the forefront of the Conservative campaign, speaking in the House of Assembly, addressing public meetings, and lobbying the Colonial Office. Hoyles learned from his mistakes. During the next six years, as leader of the opposition, he carefully strove to restore the Protestant unity which his educational campaign had destroyed. In 1857 he joined the corresponding committee of the Colonial Church Society, an Anglican evangelical body which had maintained schools in Newfoundland since 1823. 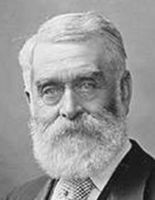 In 1859 he accepted the vice-presidency of the Bible Society, an organization dominated by Methodists, which was frowned upon by Feild, and in the election of that year Hoyles ran with Edward Evans, a Methodist, for the two assembly seats representing Burin, a key constituency. They were defeated, however, by Ambrose Shea* and James J. Rogerson. During these years Hoyles continued to take a prominent part in the affairs of his own church. He was a committee member of the Church Society, a director of the Church of England Academy, and a sponsor of the Church of England Asylum for Widows and Orphans. His legal practice flourished in the 1850s, and he was a principal figure in two well-publicized libel cases: in 1856 he prosecuted Magistrate Ollerhead for slandering the Reverend Henry Lind* and in November 1858 he prosecuted the Spanish consul, unsuccessfully, on behalf of Walter Grieve, a wealthy merchant. He became a director of the St John’s branch of the International Life Assurance Company and a committee member of the Water Company. Hoyles also played a prominent role in spearheading a Newfoundland protest against the Fishery Convention of 1857. 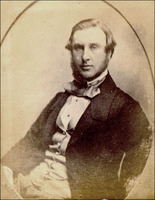 He moved a hostile resolution in the assembly and joined Little, Laurence O’Brien*, and James William Tobin in a delegation to London in March 1857. In the early 1860s the Liberals were divided and charged with corruption and inefficiency. Bishop Mullock was discontented with politicians who were using him to keep themselves in office while neglecting the causes for which he stood. Indeed in 1860 Ambrose Shea, a moderate Liberal, was making tentative offers of a coalition with Hoyles. The opportunity for change came with dramatic suddenness in February 1861. The government, now headed by John Kent*, brought in a bill to pay official salaries in the lower-valued colonial currency rather than in British currency. 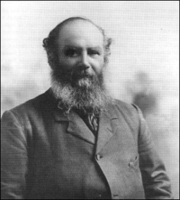 The judges objected and on the advice of Hoyles petitioned the governor, Sir Alexander Bannerman*, to suspend the legislation. Kent thereupon accused the governor of conspiring with the opposition. Bannerman, who had never liked the Liberals and had been waiting patiently for them to discredit themselves, demanded an apology from Kent. When none was forthcoming he consulted Hoyles in his legal capacity, proceeded to dismiss the ministry, and invited Hoyles to form the next government. The new administration was composed of Anglicans Robert Carter* and Hoyles, Methodists John Bemister* and Nicholas Stabb, Laurence O’Brien, a Roman Catholic, and John Henry Warren. Ambrose Shea was asked to join but declined. Defeated in the assembly on a vote of non-confidence, Hoyles called an election on 2 May 1861. His hopes of a non-sectarian contest were frustrated when both Feild and Mullock entered the fray. The election gave Hoyles a majority of two; Harbour Main’s return was disputed and violence prevented any return from Harbour Grace. The more extreme Liberals then attempted to force their candidates for Harbour Main, George James Hogsett* and Charles Furey, upon the House of Assembly. In the riots that ensued in St John’s three people were killed, property, including Hoyles’s country cottage, was set on fire, and Feild was stoned. Hoyles stood firm, however, and his refusal to permit the two men to be seated as members eventually restored comparative calm. After the by-election in Harbour Grace of November 1861, the Conservatives had a more comfortable majority of four in the house of 30. Safely in power, Hoyles worked to divide his opponents. He realized that once religion ceased to be a cause of party difference, class and economic interest would grow in importance and the wealthier Liberals would drift towards the Conservative party. He therefore began a policy of distributing patronage strictly according to the numerical strengths of the denominations and also made a determined though unsuccessful attempt to persuade Kent and Shea to join his administration. In going along with the Methodists, who had in 1859 decided in favour of denominational schools and now changed their mind again to oppose them, Hoyles offended Feild. 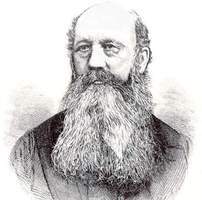 He attempted to cut expenditures on poor relief, with little success, and followed a policy of careful reform, increasing the police establishment, banning mumming, appointing customs officers for the Labrador coast, and consolidating the public debt as a means of dealing with the poor economic condition of the colony. When confederation became an issue he carefully involved the opposition and invited not only the Conservative Frederic Bowker Terrington Carter* but also the Liberal Shea to represent Newfoundland at the Quebec conference in 1864. 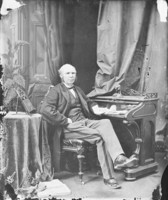 Hoyles was in poor health by this time and retired from politics to become chief justice of Newfoundland in 1865. Carter then became prime minister and Shea and Kent joined the government. As chief justice, Hoyles soon won general esteem and affection. Daniel Woodley Prowse* describes him as “a model judge, the most painstaking, able and impartial administrator that ever graced the Bench of any British colony. . . .” In August 1869 Anthony Musgrave, who had been governor since 1864, left for British Columbia to assume the governorship there. He had believed that Newfoundland was about to enter confederation and had designated Hoyles as the new lieutenant governor. Late in 1869 the anti-confederates won the general election. Hoyles’s hopes were frustrated, but he was consoled by a knighthood which he had received from Queen Victoria that year. In 1875 denominational schools were established in Newfoundland, something Hoyles had fought for in his youth but which he strongly opposed by the 1870s. In 1876 Hoyles was the administrator of Newfoundland in the absence of Sir John Hawley Glover. 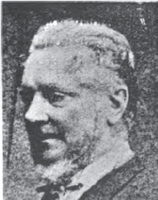 In 1880 he retired to Nova Scotia where he lived on his pension with his married daughter, although he maintained his connections with Newfoundland by continuing to contribute to its charities and the Church Society. When he died in 1888, the St John’s Royal Gazette obituary said that “His name had become a synonym for uprightness and integrity, and is respected, one might say revered, beyond that of any other native of the Colony.” Prowse summarized the general feeling in the colony towards Hoyles: “We are all proud of Sir Hugh as the most distinguished Newfoundlander of our day.” He deserves these words of praise; through his political experience Hoyles, the young Conservative Anglican, came to see the danger of religion in politics, and in the early 1860s he began the attempt to separate them. The ultimate result was the defusing of the extreme and violent nature of mid-19th-century Newfoundland politics. H. W. Hoyles was the author of Case of the Protestant inhabitants against the unconditional concession of responsible government (London, 1854). Guildhall Library (London), Commonwealth and Continental Church Soc., Newfoundland School Soc., Committee minutes, 1839–80; Reports, 1823–80. PAC, MG 24, B51 (mfm. copy). PRO, CO 194/116–78; CO 197/4–63. USPG, D9A, D9B, D27, D39. Church of England, Nfld. Church Soc., Annual report (St John’s), 1842, 1850–55, 1863. Edward Feild, Remarks on the sub-division of the legislative grant for the encouragement of education in this colony (St John’s, 1852). John Little, The constitution of the government of Newfoundland, in its legislative and executive departments . . . ([St John’s], 1855). R. B. McCrea, Lost amid the fogs: sketches of life in Newfoundland, England’s ancient colony (London, 1869). Henry Winton, A chapter in the history of Newfoundland for the year 1861 (St John’s, 1861). Newfoundlander, 1855–59, 1864–76. Patriot (St John’s), 1839–53, 1864–66. Public Ledger, 1839–60, 1862–64. Royal Gazette (St John’s), 1842–53, 1864–76. Times (London), 3 Feb. 1888. Times and General Commercial Gazette (St John’s), 1842–55, 1864–76. Gunn, Political hist. of Nfld. Alfred Morine, Sir Hugh Hoyles, prime minister (1861–1865), chief justice of Newfoundland (1865–1880) (n.p., n.d.). E. C. Moulton, “The political history of Newfoundland, 1861–1869” (ma thesis, Memorial Univ. of Newfoundland, St John’s, 1960). S. J. R. Noel, Politics in Newfoundland (Toronto, 1971). Prowse, Hist. of Nfld. (1896). Wells, “Struggle for responsible government in Nfld.” Frederick Jones, “John Bull’s other Ireland – nineteenth century Newfoundland,” Dalhousie Rev., 55 (1975–76): 227–35; “Religion, education and politics in Newfoundland, 1836–1875,” Canadian Church Hist. Soc., Journal (Sudbury, Ont. ), 12 (1970): 64–76. Frederick Jones, “HOYLES, Sir HUGH WILLIAM,” in Dictionary of Canadian Biography, vol. 11, University of Toronto/Université Laval, 2003–, accessed April 24, 2019, http://www.biographi.ca/en/bio/hoyles_hugh_william_11E.html.